Chronic dog barking is one of the most annoying issues dog owners face. These dogs seem to bark at anything and everything and do not stop barking even when the threat or event is over. 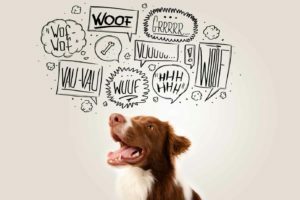 While chronic or excessive dog barking is often associated with small dogs, all sizes and breeds of dogs can become chronic barkers under the right conditions. Initially puppies and dogs bark to attract attention, notify owners of a stranger or unusual event, or to defend themselves and their property. Most owners appreciate dog barking that notifies them when a stranger approaches or there is a knock at the door. The problems start to happen when the dog does not stop barking, even if corrected. Some chronic barkers will not stop even if removed from the room and will continue to bark even if placed outside. Usually problem dog barking started when the dog was bored or received attention for barking. Remember that to a dog all attention is good, even if it is negative. Therefore when a dog is bored, lacks attention and then barks and gets yelled at, he or she quickly learns that barking gets human attention, which is just what he or she wants. Once this pattern has been established it is more difficult to correct. That’s why your best bet is to catch — and stop the behavior early before it develops into a chronic dog barking problem. 1. When the stranger comes to the house or yard and the puppy or dog barks, immediately praise the puppy. After one or two barks say “Enough” or “Stop” and then immediately give them a toy or chew item to distract them from barking. As soon as they take the toy, praise them for stopping and provide attention for quiet behavior. If the puppy or dog continues to bark and doesn’t take a toy, consider giving them a food treat. Again, praise as soon as the dog is quiet after you have given the verbal command. 2. Spend time playing with the puppy and provide attention when they are quiet. 3. Never yell at the puppy or hit the dog to make it stop barking. This will only raise the puppy’s anxiety level and lead to more barking or worse, even more aggressive behaviors such as biting or running away. 4. A squirt bottle filled with tap water can also be used to stop the puppy from barking, although this should only be used if other methods fail. Another option is to fill a soda can with pennies. Shake it to distract the puppy when she begins barking. Use the command “enough” or “stop” first. When your puppy stops barking, immediately offer praise and rewards when she sits or stands quietly beside you. 5. 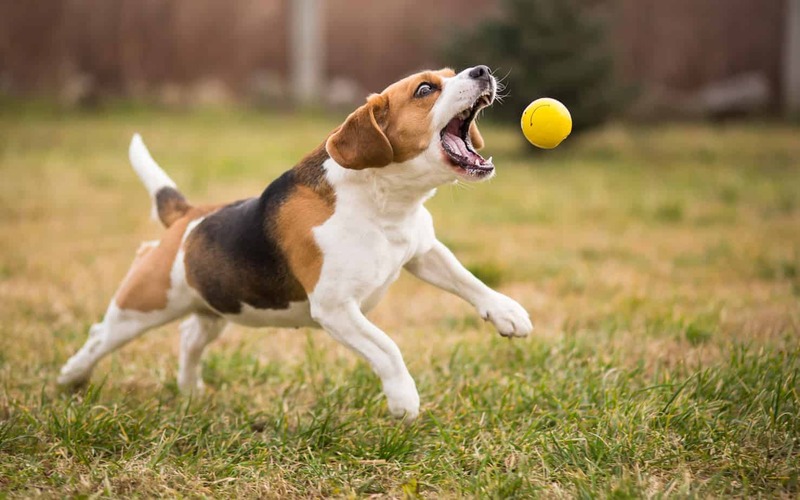 For dogs or puppies that bark chronically when the owner is away, consider providing more toys and activities for the dog to keep them busy and stimulated. In addition, take them for a long walk or play games to help tire your dog out before you leave him alone. Try to make the time when you’re away as short as possible and praise the dog when you get home and all is quiet. Be as consistent as possible if you are trying to train or correct dog barking. Always respond the same way to barking. Dogs become very confused if one day they are allowed to bark and other days they are punished or penalized for barking. Always pay attention to the dog when it is quiet or behaving appropriately. 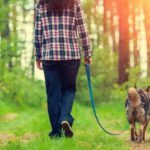 Spend extra time exercising and playing with your dog or puppy to ensure she will be tired and relaxed when you are away from home. I’m saddened to see mention of ‘fear’ tactics to make up for poor direction/training. The use of a squirt bottle to stop unwanted behaviour is just wrong. All it will do is replace response to stop barking with fear of the squirt bottle. Dog will still want to bark but won’t due to fear of being squirted, nice?